We now drink clean water since a pump was installed on the hole, so there’s no more disease outbreak. We used to be diagnosed with typhoid, but since the rehabilitation we have had no problems. 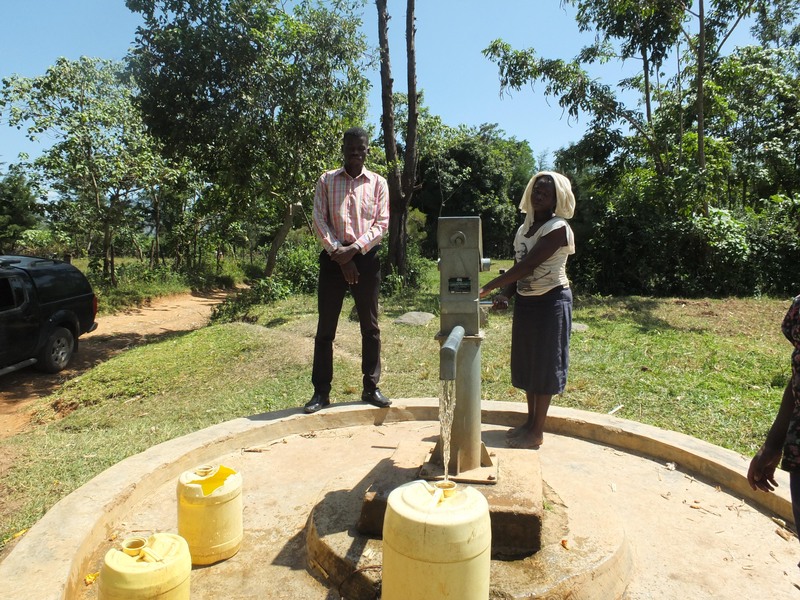 A year ago, generous donors helped rehabilitate a well with the Chebwai Community in Western Kenya. Because of these gifts and contributions from our monthly donors, partners can visit project sites throughout the year, strengthening relationships with communities and evaluating the actual water project. These consistent visits allow us to learn vital lessons and hear amazing stories – we’re excited to share this one from our partner, Paul Weringa, with you. This clean water well has been extraordinarily helpful to the community. The people here are happy and healthy, for they no longer spend their time and money fighting waterborne diseases. Now, they’re busy on their farms providing for their families. Paul observes the well’s functionality as Agness pumps clean water. We met with Agness Masungo, who is the treasurer for the water user committee here – those most responsible for managing and maintaining the water point. “We don’t experience back and chest pains since we no longer have to pull the bucket tied on the rope” to fetch water. 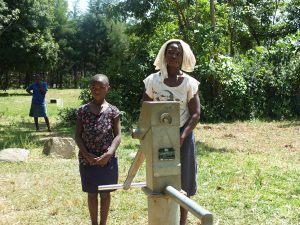 Agness continued, “We now drink clean water since a pump was installed on the hole, so there’s no more disease outbreak. We used to be diagnosed with typhoid, but since the rehabilitation we have had no problems.” She also added that having clean water “has brought more cohesion and peace among” the people of Chebwai. The only issue that she brought up is how busy this well gets sometimes. During the dry months, there’s a water shortage all throughout this region. That means Chebwai Community has people coming from both near and far to get clean water. This overuse affects the water levels in this well, and if you’re next in line you have to wait a while before there’s enough water for you to fill your jerrycan. At the time of this interview, there was more than enough clean water in this well. When you invest in The Water Project, you're investing in people like Agness Masungo. Your gifts help us reach more communities with the gift of clean, safe water. And every drop helps unlock potential.